One of ZSL London Zoo’s newest mums has been caught showing off her parenting skills, in footage captured by zookeepers just in time for Mother’s Day. Aye-aye mum Salem gave birth at the end of last year to baby Malcolm; the first of his kind born at ZSL London Zoo. We celebrated International Cheetah Day on 4 December 2018! Watch what happens in our Meet the Rainforest experience! Meet some of 2018's new arrivals! Our Amur tiger cubs are still as cute as ever! Visit our fang-tastic animals at ZSL London Zoo! Meghan the okapi celebrates World Okapi Day 2018! Our tiger cubs are starting to open their eyes! Amur tiger cubs born at ZSL Whipsnade Zoo! Our adorable baby two-toed sloth Lento loves to wake mum up for a play. Meet some of the new arrivals at ZSL London Zoo this year! Our five-strong pack of sisters moved to their new home in Spring 2017. What happens on a school visit to ZSL London Zoo? Elephant calf Elizabeth loves to play! Elizabeth the Asian elephant loves playing in the sand! 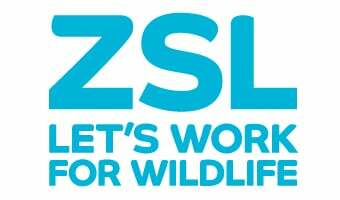 ZSL are working for a world #WithWildlife. Experience a seal survey in this 360 video. Did you know there were seals in the Thames? Say hello to Elizabeth the elephant calf! Take the #OneLess pledge to tackle plastic pollution! Will you take the #OneLess pledge? Find out about ZSL scientists who act as the CSI of the sea. Ravens at the Tower of London get a health check. ZSL scientists use camera-traps as animal 'speed cameras'. What is the role of the modern zoo? Could you be a Forest Guard? Meet Xena - our all-action serval! Find out about ZSL London Zoo's all-action new arrival, Xena the serval. What inspired Land of the Lions? Land of the Lions gets Royal seal of approval! This week's Curious Creature is the fabulously fuzzy gentle lemur! Highlights of how ZSL has been working for wildlife in 2015. Find out about the most mysterious creature at ZSL London Zoo! This week's Curious Creature is the bizarre-looking Surinam Toad. Get up close to some of natures most beautiful creatures! Get closer to one of nature's most fascinating creatures! Baby camels become best friends! Watch these two baby camels become the best of friends! How do you build a Madagascan forest? Check out ZSL Whipsnade Zoo's brand new Visitor Centre! Learn about the jewel wasp - the insect body-snatcher! Find out all about the amazing and critically endangered pangolin. Find out about how ZSL are working to save the Chinese giant salamander. This weeks Curious Creature is the magnificent caiman lizard. This week's Curious Creature is the adorable looking longhorn cowfish. Learn about how we train our amazing Komodo dragons. Help us name our bull frog! Our bull frog has moved into his brand new home and now he needs a name. Meet Trevor and Tulip the miniature donkeys! They may be small in size but they have massive personalities! Learn the fascinating story about the bear who inspired Winnie-the-Pooh. Here are some of the key highlights of ZSL's work during 2012. Did you know there are seals in the Thames? First ever footage of a little known species of seahorse. Find out how ZSL are working to save wild Sumatran tigers. Find out all about Project Ocean. Find out about the work of the Institute of Zoology in this video. Welcome to the ZSL Video channel!